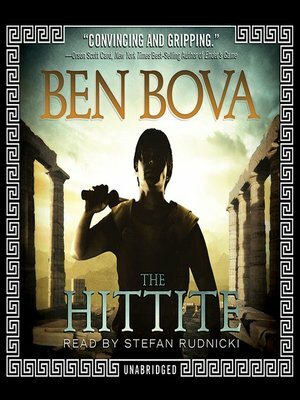 Ben Bova brings us an exciting new take on the timeless legend of Troy. This is the tale of Lukka, the Hittite soldier who traveled across Greece in search of the vicious slave traders who kidnapped his wife and sons. He tracks them all the way to war-torn Troy, where he proves himself a warrior to rank with noble Hector and swift Achilles. Lukka is the man who builds the Trojan horse for crafty Odysseus, who topples the walls of Jericho for the Israelites, and who steals the beautiful Helen—the legendary face that launched a thousand ships—from her husband Menaleus, fighting his way across half the known world to bring her safely to Egypt.